I miss George Lucas. That is basically my reaction to the recent news and rumors of problems with the upcoming film Star Wars Episode VII. From the writer, Michael Arndt, being replaced with director JJ Abrams and Lawrence Kasdan (the writer of The Empire Strikes Back), to hints of tension between Lucasfilm and Disney about the film’s release date. This is what I feared when Disney took over the franchise. Star Wars movies usually took three years to make and it was all that George Lucas and his company were focused on. Now it seems like Star Wars is just another piece in Disney’s massive empire. The idea of delaying the film to 2016 may seem like a long time to wait for some, but on the other hand it may not be such a bad idea since it feels like everything is being rushed. Abrams only recently finished Star Trek Into Darkness and now with a new script being written, there will be a limited amount of time to get the whole thing done by 2015 as Disney CEO Bob Iger relishes. The other idea of having a new Star Wars movie every year makes all of this feel like these films will be churned out of a factory and will inevitably lead to people getting burned out on Star Wars. The anticipation for each new episode was part of the fun during the years between films. But with Disney and its shareholders demanding more profits this will not be allowed. See the glut of Marvel films as a reference. Lucas had his flaws but Star Wars was his life’s work and was solely concerned with it and the rich universe he created. This won’t be duplicated with whoever is running things now. Getting back to J.J. Abrams, one has to question how committed Abrams is to this opportunity. It has also been rumored that he was reluctant to move to England to film the movie, which if true would be ridiculous. How many directors are out there that would swim to England just to have a chance to direct a Star Wars movie? These type of projects just don’t come around too often. Not to mention the problems several fans had with his Star Trek films that had plot holes all over the place. No doubt caused in part by the scripts. The fact that the Episode VII screenplay is now being rewritten does not inspire confidence except for Kasdan being involved. Having said all of this, I hope that Abrams can pull this out. I think he needs a strong producer to keep him on track and ensure that the problems that occurred in his other films are avoided. His first Star Trek film had nice visuals and good action sequences, so he does have some skill in that regard. He just can’t have free reign to do whatever he pleases, especially on a project of this magnitude. 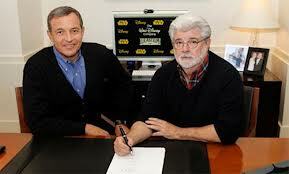 Disney is not going to change directors at this stage of development, so he is it for Star Wars Episode VII. Down the line, I would like to see someone like Alfonso Cuarón take a stab at these films. He has been receiving great reviews for his sci-fi film Gravity. Having that type of vision for a Star Wars film seems like a great opportunity. 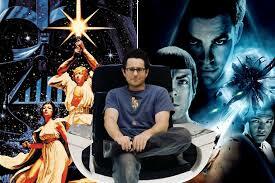 Hopefully, Abrams and Kasdan can come up with a quality script and do justice to the Star Wars saga. That is just as long as Abrams doesn’t bring in his buddy writers. Maybe Abrams will ultimately deliver a great Star Wars film, and all this angst we fans are feeling will be for nothing. We’ll just have to hope for the best. 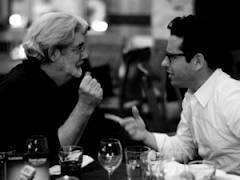 JJ Abrams is no George Lucas. Lucas is a rebel artist/entrepreneur. Abrams is a studio tool/Network TV exec. I couldn’t agree more, Lucas built a cinematic and special effects empire from scratch, while Abrams just stands on his shoulders.